Jenco Electrical are Registered Master Electricians providing electrical services in the Auckland area for all residential and commercial electrical needs. Our team of electricians can help you with general electrical maintenance, electrical repairs, full or partial rewires, new builds, switchboard installation and repair, kitchen and bathroom renovations and more. We provide full LED lighting design and installation for residential and commercial projects. And if you’re looking to save money on electricity our EcoSmart Electricians Health Check can help you identify areas for savings. In our opinion, no one should have to tolerate unreliable and careless tradies. 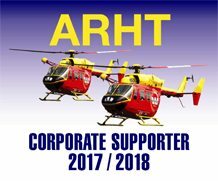 From day one it’s been our mission to – not only provide high quality workmanship in all our electrical work – but to put our customers first. It’s the little things which count, such as: turning up on time, treating your home with respect, or putting a drop cloth down to minimise mess. And getting it right first time! Be on time, or contact you if we’re held up. Clean up after every job (all of our vans carry a vacuum and dust cloths). Wear shoe covers, or put drop cloths down to protect your flooring. Have all of our electricians police and background checked. Treat you with the utmost respect – along with your home, business, or property. Do you need an electrician in Auckland for your new building or home renovation project? From switchboard installation and data cabling, to bathroom and kitchen installations, Jenco Electrical has all your electrical building and renovation needs covered. 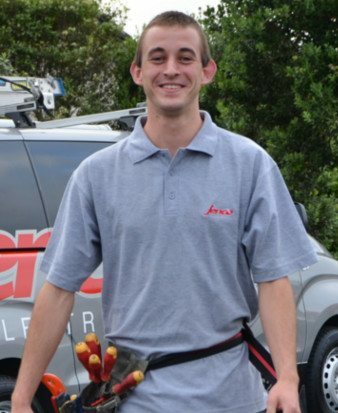 Jenco Electrical can help you with all your electrical needs in Auckland. From stove repairs and power outages, to socket and switch repairs, Jenco Electrical has all your electrical maintenance needs covered. 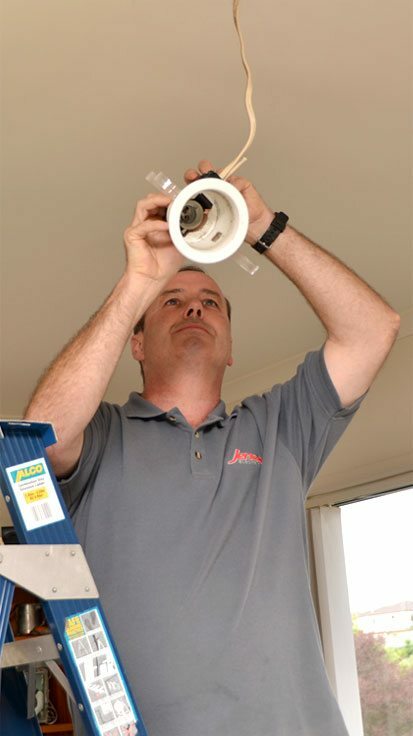 If you’re building a new home or upgrading your lighting in your existing home in Auckland, Jenco Electrical can help design and install a full lighting plan. We offer a full range of lights, including the latest quality LED light fittings, and outdoor and garden lighting. Jenco Electrical are EcoSmart Electricians and also are the members of ECANZ (Electrical Contractors Association of New Zealand) and carry the “Master Electricians” brand as well. Our specialist electricians can provide advice and assistance on the best ways you can save power and decrease your electricity bill. Do you need a commercial electrician in Auckland for a commercial fit-out? Jenco Electrical can help with office, workshop and retail fit-outs, as well as phone and data point installation. 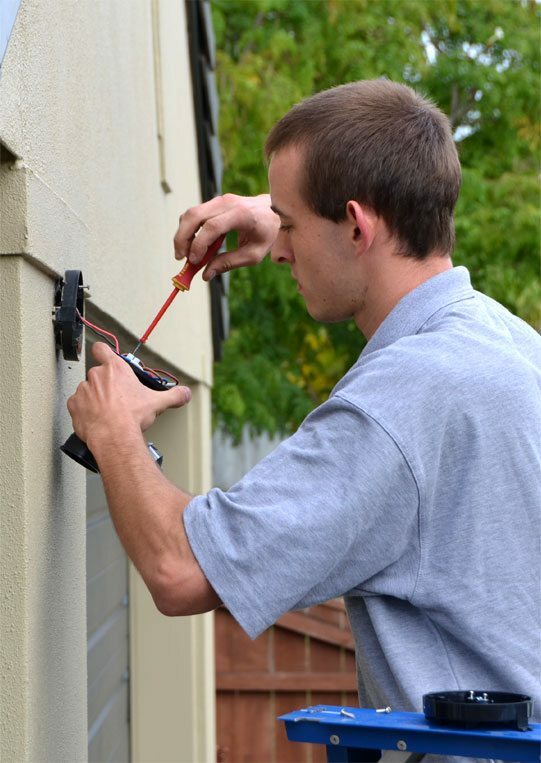 Looking for an electrician for electrical repairs or maintenance at your Auckland business? From power point and switch repairs, to ongoing maintenance, Jenco Electrical has all your commercial electrical maintenance needs covered. Are you looking to upgrade the lighting in your commercial building? From LED upgrades and installation, to stunning feature lighting, to emergency and security lighting, Jenco Electrical has all of your commercial electrical lighting needs covered. Increase your building’s electrical safety and meet compliance through regular Testing and Tagging. Testing and Tagging involves checking the condition and efficiency of your electrical devices. This helps protect your business from potential fire hazards, as well as helping to reduce maintenance costs.